Tim Macer reviews two products that allow the non-statistician to explore data in greater depth. For most people involved in research, there are cross-tabs and there are statistics packages and you normally progress from one to the other. Cross-tab packages struggle to produce stats, and stats packages struggle with cross-tabs. Espri, the data exploration and analysis tool from New Zealand specialists Information Tools, takes the best of both approaches to offer a third way in data analysis. Espri was ahead of its time when Interface last reviewed it in 1996, by putting clever data visualisation and reduction tools into the hands of researchers. Now, in Espri 3.3, the program has had a welcome makeover - more charts, new options, some rationalisation - but it is not dramatically different. Inexplicably, seven years on, it is still in a class of its own.  This approachable style is repeated throughout to reinforce the programs intuitive qualities. However, it is all too easy to see Espri as just another 3D interactive cross-tab tool. Here the similarity with other programs ends as the data cube is simply a handy springboard for the more interesting stuff. Pick any column or any group of columns and apply the whats different tool, and the sig, tests will be recalculated to show how your subgroup differs from the rest. It is perfect for time-series data, but is equally applicable when segmenting your data. This is just one of many statistically-based discovery techniques. Where other segmentation tools may leave you guessing as to the exact make-up of your clusters or selected segments and whether they have any statistical validity. Espri will rank all the other criteria in your data cube against your target segment using correspondence analysis. Very easily, you can produce a very long list of attributes ranked on a scale of most like to most unlike the group. At the top are those characteristics that strongly define the segment; at the bottom are all the telling affinities the group lacks. Intuitive survey data exploration suite that makes statistical analysis and interpretation of survey data accessible and meaningful to the non-statistician. Produces a wide variety of cross-tabs, charts, statistical measures from survey data, and in Harmoni, combines this with raw or aggregated data from other sources too. 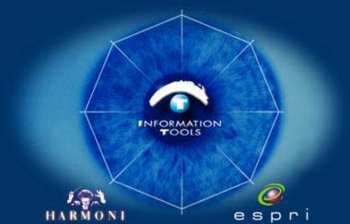 Harmoni, with an overlapping set of features in common with Espri, extends the capabilities to combining and comparing data from different data sources. You can add either raw or aggregated data by populating the cells of an Excel spreadsheet with the values you wish to import. No specialist help is required. Both programs offer extensive charting: the usual culprits plus great correspondence maps for that a qual-type feel to quant analysis. There is a handy zoom tool to help you see meaningful detail even if you ambitiously plonked every variable into your map. Results dissemination is also well provided for, with good integration with MS Office products, and a new proprietary Cube Viewer, available under separate licence. Any cube, charts or reports associated with it can simply be cut and pasted into Cube Viewer then emailed to anyone you choose. Recipients can slice and dice, but do not have recourse to the raw data. - it lacks any macro or iterative functions. Neither, in its current guise, is it web enabled, and it uses a proprietary database which you normally commission Information Tools to build for each project. Published in Research, the magazine of the Market Research Society, April 2003, Issue 443.